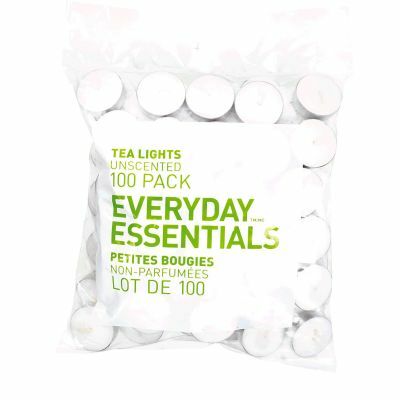 On April 19, 2011 the Everyday EssentialsTM Tea Lights have been recalled by Health Canada. The flame from the tea lights can become very high, posing a fire and burn hazard to consumers. Loblaw Companies Limited has received seven reports of the flame from the tea lights becoming very high, with one of these incidents resulting in minor injury. You should immediately stop using the recalled tea lights and return them to any Loblaw store for a full refund. For more information, you may contact Loblaw customer service at 1-800-296-2332 or by email at ac.swalbol|ecivresremotsuc#ac.swalbol|ecivresremotsuc. Approximately 103,400 units of the recalled tea lights were sold in Canada at Loblaw corporate, franchise and affiliated independent stores. Please visit this website for a complete list of stores. These recalled tea lights were sold from August 2010 to April 2011. The products were manufactured in China.